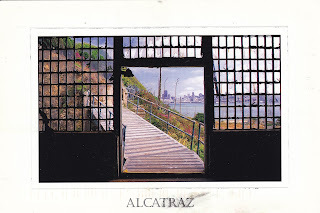 Forty five years ago on June 11, 1971, the U.S. Government forcibly removed the last holdouts to the Native American Occupation of Alcatraz that lasted 19 months. 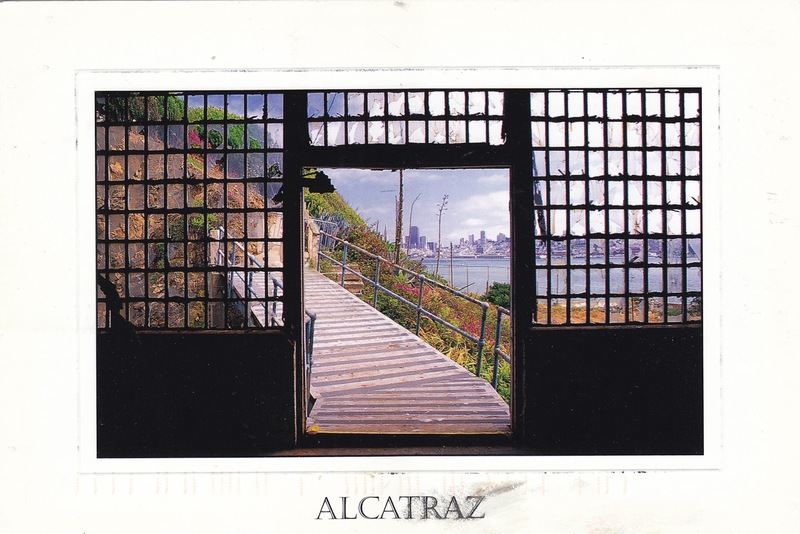 This Alcatraz Island postcard shows the weathered and deteriorating laundry facility used when Alcatraz was a Federal Penitentiary. 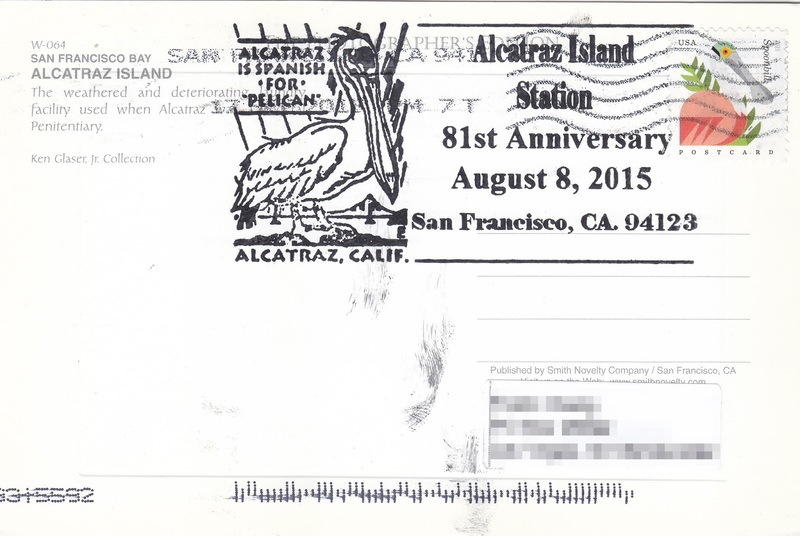 It was sent in for a pictorial postmark dated on August 8, 2015 at Alcatraz Island Station in San Francisco, CA that commemorated the 81st anniversary of the opening of the infamous penitentiary in August, 1934. 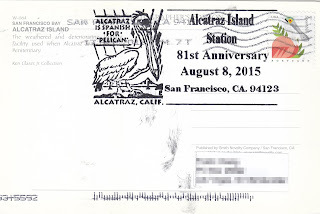 A unique Alcatraz Alumni reunion was held at Alcatraz between former prison guards and former "residents" on Sunday August 9, 2015.